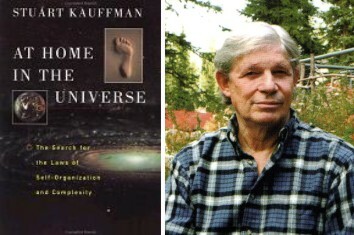 At Home In The Universe is a landmark piece of thinking by Stuart Kauffman from the Institute for Biocomplexity and Informatics at the University of Calgary, Canada. 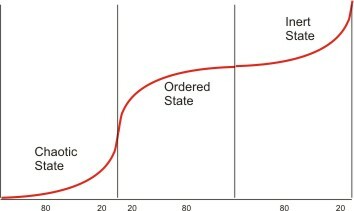 Stuart through the application of Boolean networks, chaos theory, biology and biochemistry makes a profound hypothesis: Life is a higher level of order achieved though a natural phase change. In otherwords, the “observer” that Einstein kept out of his equations belongs there as every living thing exists as another state in the equation. The observer is part of the cosmic system. 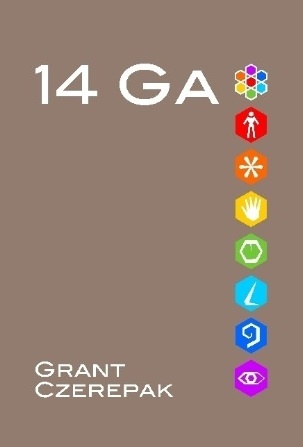 but he always looked at it as a two state system with the edge of chaotic state balancing on the singularity of the phase change between chaos and order. This slavishness to a Boolean networks keeps him from seeing another, what I consider, obvious possibility. Stuart’s light bulb metaphor should have trinary bulbs not binary bulbs–a trinary network. Like a gas, liquid and solid–the three states of matter– there is a chaotic, ordered and inert state with life residing in the ordered state between two phase transitions (I wonder about how chaos theory would explain the plasma state). I don’t know if his use of Boolean rules ever provided for this possibility. It would have resolved many of the challenges he faced and documented in his book. The second thing I wondered about is he regarded a tightly coupled system as chaotic and a loosely coupled system as ordered. The logic seems backwards to me. Is not a solid tightly coupled and orderly and a gaseous system loosely coupled and chaotic? 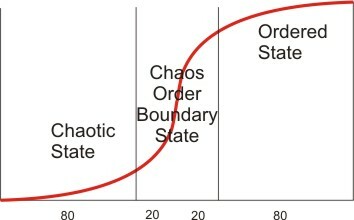 I will have to delve more deeply into the concepts of chaos theory before I agree. 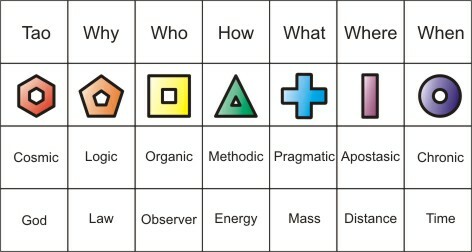 Where L is Logic, E is Energy, O is Observer, M is Mass and c is the distance (d) light travels over time (t). Logic would be defined as the rules that correctly describe the cosmic system. Einstein referred to this logic as “The Old One”. My hypothesis is our understanding of these rules, the logic of the observer, is a state as well.